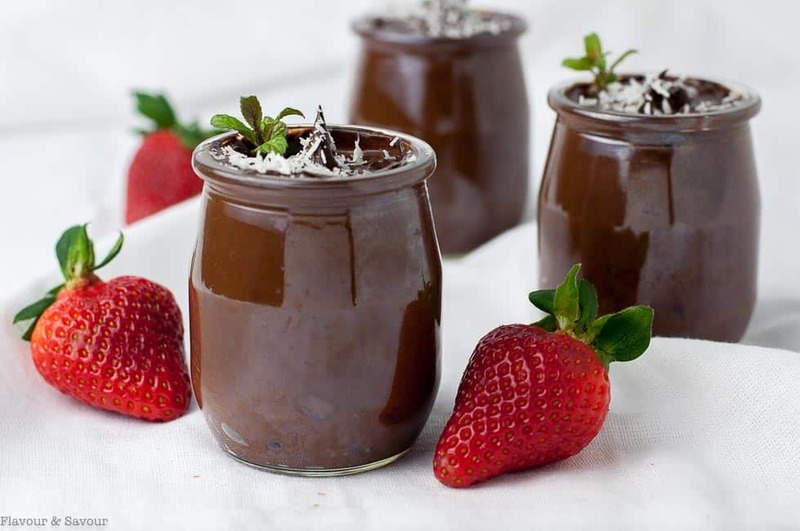 Silky smooth and creamy dairy-free chocolate mousse, made with naturally sweet ingredients. It’s paleo and vegan too! 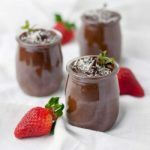 This dairy-free chocolate mousse has made the rounds on Pinterest for a while now and it’s so good that I know it’s here to stay! 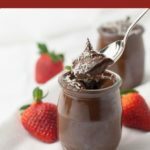 I’ve made it many times since I first posted this recipe and I’ve updated the photos. 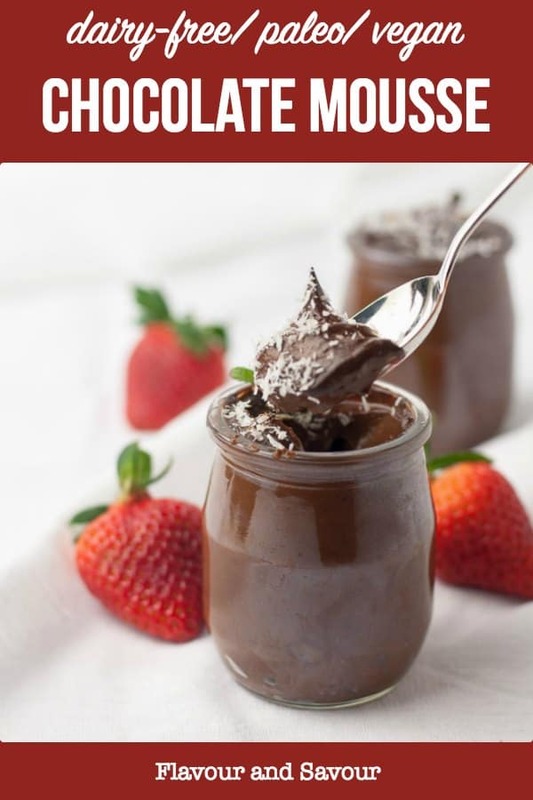 The first time we were served this amazing dessert I had to consciously pull myself back into the conversation when I found myself drifting off into chocolate heaven with every silky spoonful. It’s just that good. I’ve experimented with different versions since then and after tweaking and tasting, I’ve found the one that I like best. 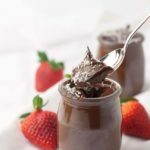 Made with a base of avocado and banana (no, don’t freak out) this dessert is shockingly good and as close to a high-fat whipping cream-style mousse as you can get without indulging in all that nonsense. Cacao, avocado, banana . . . this does not sound like an enticing combination, but it will surprise you. Not only that, but it’s so easy, your kids could make it. Simply put everything in your food processor and blend away. Done. Garnish away to your heart’s content. Try coconut, cocoa nibs, flaked almonds, toasted hazelnuts, strawberries, raspberries, or flaky sea salt. A sprinkle of flaky sea salt, like Fleur de Sel, on top transforms this dessert from good to great, heightening all the other fabulous flavours. The crunch from the cocoa nibs and the toasted nuts is to die for, so be generous when you garnish this dessert. 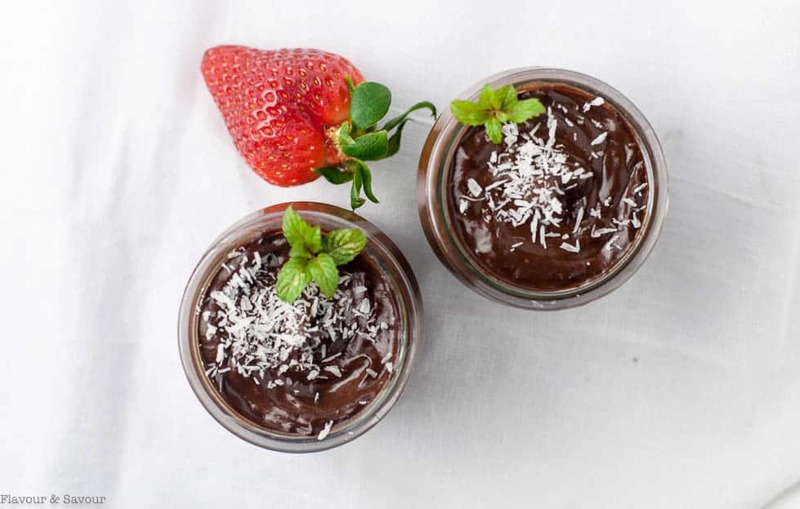 Make a healthy dessert choice with this Dairy-Free Chocolate Mousse. Indulge. Enjoy! 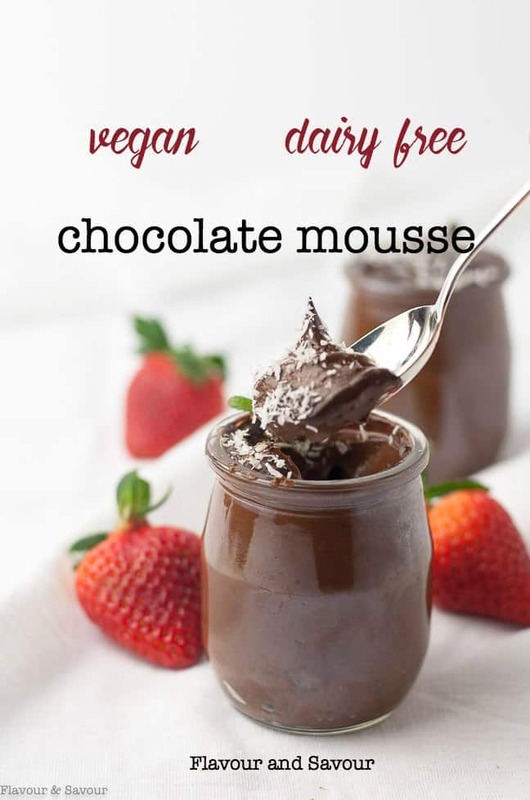 Naturally sweetened and silky smooth dairy-free chocolate mousse made with cacao or cocoa, non-dairy milk, bananas and avocado. 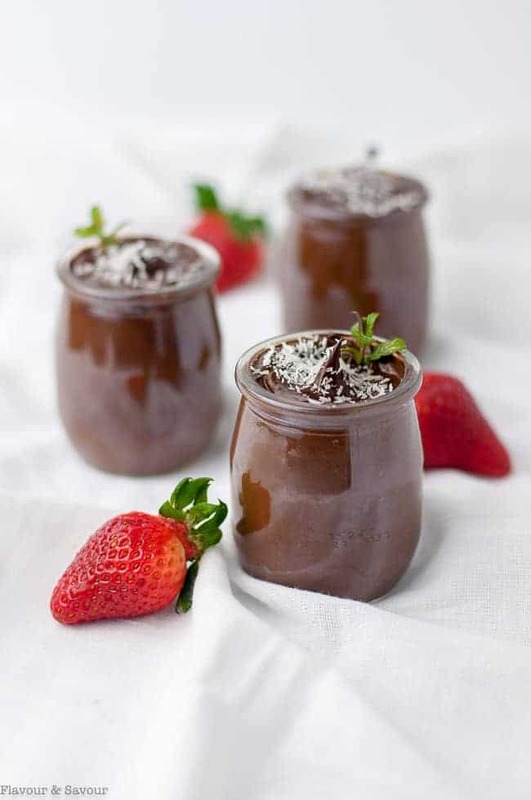 Put the flesh of the avocados in a blender or food processor, add the cacao powder or cocoa, non-dairy milk, banana, maple syrup, vanilla, cinnamon and sea salt and process until very smooth and creamy. Spoon into serving dishes and garnish with coconut, cacao nibs, finely chopped nuts, strawberries, raspberries and/or flaky sea salt. Adjust the sweetener to your taste. If you're banana is very ripe, you won't need as much maple syrup. P.S. 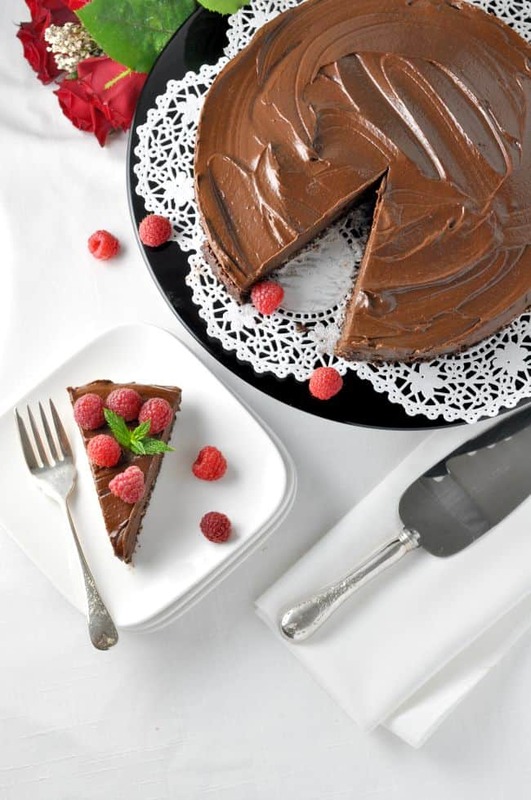 If you like this Dairy-Free Chocolate Mousse, you are going to love this easy Double Chocolate Mousse Torte. It’s vegan, paleo, and divine. I made this for the first time today, OMG it is so delicious…. Everyone should have a go at making this ???? It’s surprisingly fabulous, isn’t it! This looks really good. I’m going to try it this weekend. Most of the other dairy-free mousse recipes I found included coconut cream. I don’t have anything against coconut cream, but with the dark choc, sounded fairly heavy. I’m looking for a somewhat lighter texture. So, I’m guessing the avocado and banana provide the thickening that the coconut cream has in the other recipes? Yes, you’re right–the avocado and the banana make this a thick and creamy dessert. Using very ripe bananas adds natural sweetness. It’s very filling, so I suggest serving it in small portions. Hope you like it! Yes, definitely! Good question, as I’m sure others may have wondered that, too. Thanks so much for letting me know! I love it when I hear how much people have enjoyed my recipes. To store in the fridge, cover with plastic film first and they should last for up to 5 days. Enjoy! I’m not sure how to advise you. Since the base of this recipe relies on avocado, I’m not sure how it would turn out with an extra banana. It would definitely be sweeter, and perhaps not as thick, but it might be really delicious! Let me know if you try it!